Teenage Mutant Ninja Turtles, Dora the Explorer and SpongeBob SquarePants collectables due. 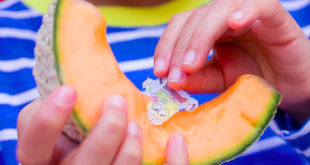 Floppets, the pocket money character toys that can attach to kids’ bags, fingers, shoe laces, pencils and more, have signed their first UK licensing partner: Nickelodeon. The two-year agreement with Nickelodeon & Viacom Consumer Products will see Floppets produce collectable accessories featuring characters from Teenage Mutant Ninja Turtles, Dora the Explorer and SpongeBob SquarePants. The licensed Floppets are due to launch this year during the back to school season, targeting children aged four and above. Floppets product can be attached with a Velcro loop strap to backpacks, flip flops, fingers, toes, clothes and more. Since launching in the UK in late 2012, Floppets have achieved national distribution and sales in excess of 350,000 units. 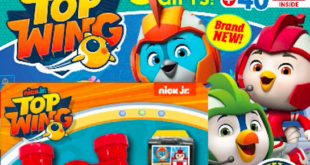 Mark Kingston, GM and SVP Nickelodeon & Viacom Consumer Products, Europe, Middle East, Africa and Australia, added: “Innovative and fun, Floppets complements Nickelodeon very well.